Writing for money isn’t always easy; it requires discipline. Regardless of how much you may like to write, it can be hard to maintain good productivity.Consider this iconic image: a writer lounging at a café in Paris, sipping at a cup of coffee as they contemplate their future great work. It sound laughably silly when put on paper, but many people have this sort of image in their minds of what it means to be a writer. Family and friends watch as writers sit at home and type. Little do they realize, but the entire process of writing is far more demanding and requires strict discipline. Although some writers may achieve the iconic image of writing life, even these writers must strap themselves to a desk at some point and force the ideas out of their pen. Writing takes discipline, energy and time. Learning how to cultivate these three factors is one trait that is common among any successful writer. Before a writer can become disciplined, they must have a strong desire to write. Writing is not a job for the faint of heart. It takes as much dedication and focus as running a marathon. Anyone who has never tried writing as a career cannot possibly know the amount of mental focus and emotional investment this career requires. Being able to wake up in the morning and begin writing is an admirable quality that does not appear overnight. To foster this attitude, writers must want to write. The desire to write must outweigh any television show or social activity that can distract the writer. What was once a hobby can only become a career if the writer can force themselves to stare into the murky abyss of their computer screen for hours at a time. The best way to become more disciplined is to create a writing schedule. If writers devote the same part of each day to writing, their minds will be accustomed to getting work done during those hours. Scheduling time to write makes it so the writer’s subconscious realizes that it is time to pay attention. Writers can also format their writing schedule to include lunch and coffee breaks just like they would at a normal job. As much as someone may love to write, writing can still be a job and should be treated as such. With a regular writing schedule, writers get the structure they need to perform their best. A writing schedule also offers a side benefit. If friends and family are used to the writer’s standard schedule, they are less likely to stop by or call on the phone. These distractions can take the writer away from their work and ruin their train of thought. It is far too easy for family to forget that what a writer is doing is actually work. From the outside, typing at a keyboard seems like a simple task. By adopting a set schedule, the writer can avoid some of the distractions of everyday life. For individuals with children, avoiding distractions might be impossible. An office setup in the living room lends it to constant distractions from children at play. This aspect does not have to be a negative. Parents can simply learn how to ignore and tune out distractions. If they can learn to tune out the sound of children yelling in the background, any other distractions in life will be easy to handle. Successful writers often set financial and quantity goals. By setting a goal amount that the writer wants to make each hour and month, they can manage their income stream. 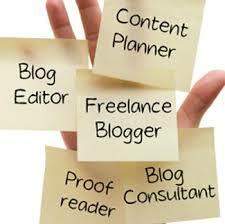 Jobs that do not pay enough can be put aside and different writing assignments can be chosen. Setting goals for each day’s accomplishments simplifies the process and gives the writer an objective to reach. The best way to develop the discipline you need for paid writing is this: sit down and write. There is no secret trick or tip that will make the process of writing any easier. Committing to several hours a day spent at a desk is the only way that writers can learn the discipline needed to succeed at their goals.